There's so much that goes into a headshot session. In most respects you can not over think it because every point is critical. What you wear, how you wear it, and does it even work? Your hair: up, back, down, over one shoulder, pony tail etc... but the thing that trumps all of this is expression. Do not take for granted that you will be able to deliver expression. Now I will do all I can to help. Any good photographer worth his salt will. That is what we do. Get rid of the technology and work with the person is always the goal in a headshot session. But what can you the subject do to prepare? Practice. Sit in front of a mirror for 15, 30 minutes or even an hour and practice your expression. Not just once but do it every day for the week prior to the session. Especially if you're an actor but also if it's business or any type of headshot that is involved in your "personal brand". I know it's a pet phrase these days but it's true and it's never been more critical for an entrepreneur. In a typical actor headshot session we shoot for 90 minutes to two hours. The session runs $250. Most of the session is about nuance. 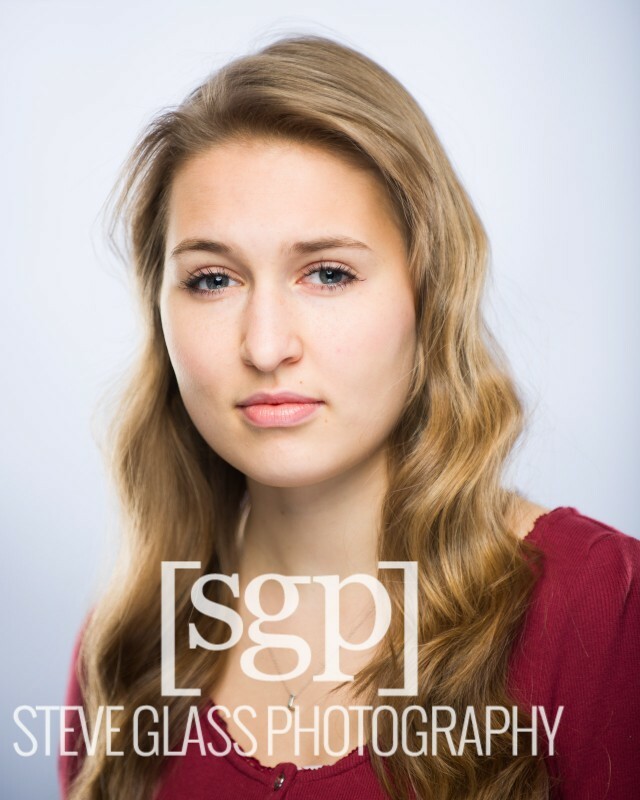 Take a look at Leah who is an aspiring actress and musician. Leah is a beautiful girl. These images are straight out of camera with no retouching. That's really not enough for Leah because as beautiful as she is there's tons of beautiful girls competing for the same jobs. My job is to show Leah beautiful and just as important, to show her interesting. Now when you look at these shots you'd be tempted to say they're the same shot. But it's really in the nuance. I think the middle and right shots are better then the left and I think the middle would be my pick of the three. There's intrigue in Leah's face. You wonder what she's thinking and her gaze solicits attention. That's the name of the game: attention. It's a crowded planet and if you want to be an actor you need to be more than good looking. You need to be interesting and you have a very fleeting moment on a casting director's screen to show that. I took a ton of headshots this year and there is always standouts. But this one was surprising. This fellow, whose name I forget, is a lawyer specializing in defending doctors in medical malpractice. All of these shots are one second apart. Each expression is subtly but critically different. I did not say a word to him. He did this all on his own. I smell some community and college theater here. But it's much more subtle then stage. It's like he's a seasoned screen actor. The name of the game is expression and it's a game of inches. More then that, fractions of inches. In Leah's shot we worked on a natural eyebrow arch she had going along with the slightest squint. We added warmth, added a smile, took away a smile, started deadpan, then dialed in warmth. We used words like "sneaky" and "I've got a secret".